Current and former US intelligence officials say the FBI still has an open investigation into whether David Petraeus improperly provided highly classified documents to a mistress. The case has been open since 2012, when he resigned as CIA director. 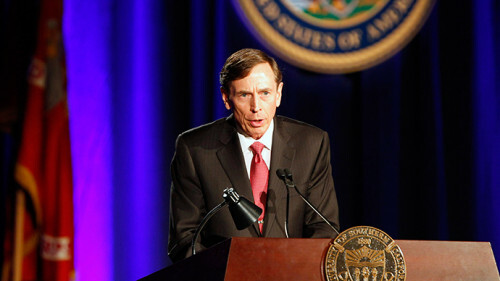 While the FBI was investigating an unrelated email cyber stalking complaint, they discovered David Petraeus’ extramarital affair with Paula Broadwell, his biographer. Though that discovery led to Petraeus’ resignation, the FBI still has an open investigation into whether Petraeus improperly provided highly classified documents to Broadwell. The unauthorized material was found on Broadwell’s personal computer. “It was inappropriately shared and it should never have been shared,” one former senior intelligence official told Bloomberg News. The FBI cleared Broadwell of the cyber stalking charges. Yet two US officials familiar with the investigation said she was never authorized to receive the classified documents found on her computer because “it included compartmentalized intelligence that only a handful of very senior officials were approved to view,” according to..